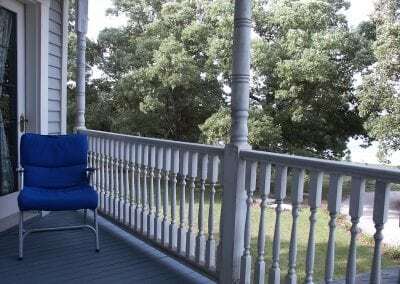 Located in the Farm House on the second floor with its own private small balcony overlooking the lake, the Garden Room is often the first choice of guests. 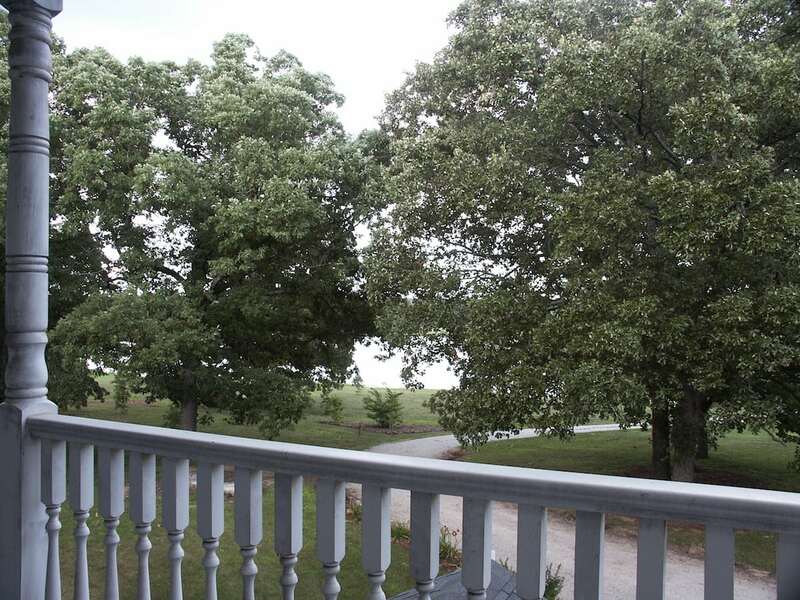 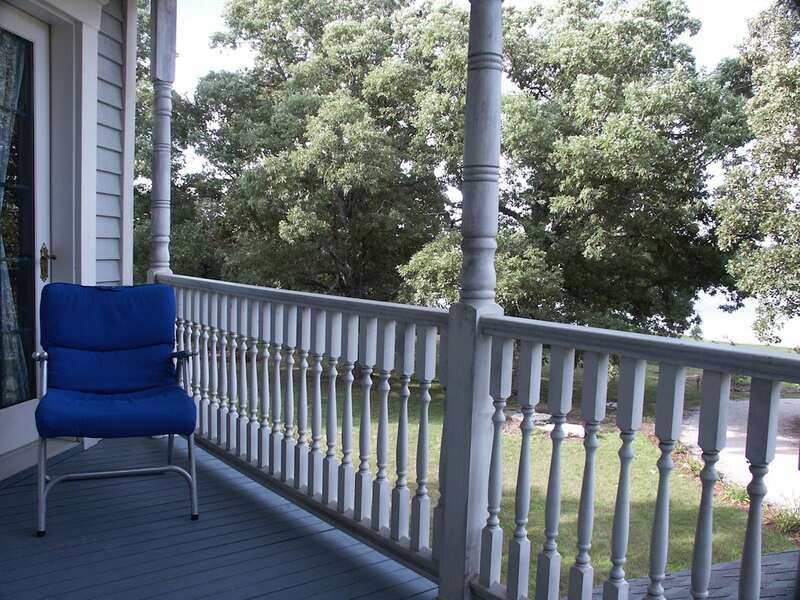 Guests often relax with their first cup of coffee on the porch. 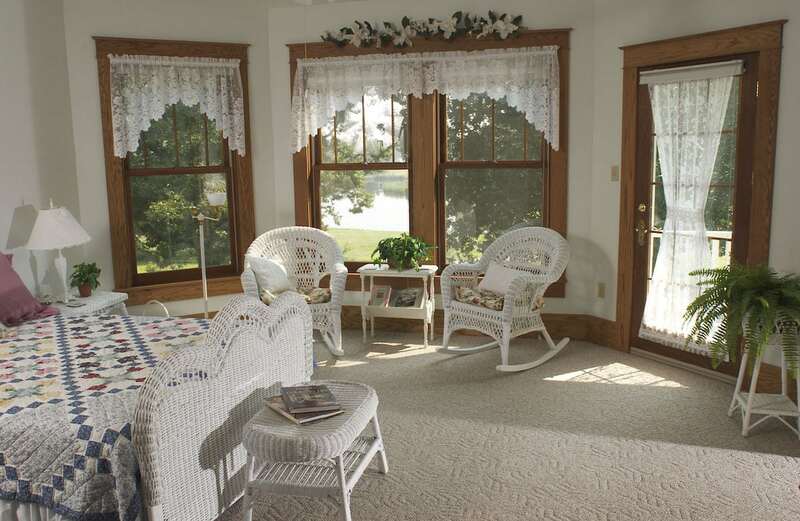 The room is furnished with a combination of wicker and antique pieces. 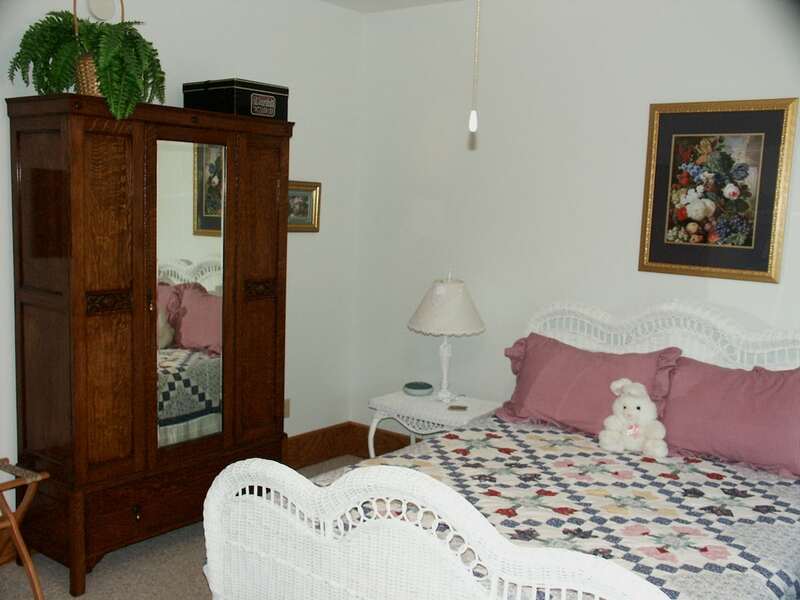 The queen-sized and two wicker chairs are provided in the room for relaxing and an antique armoire and dresser provide storage for your clothes. 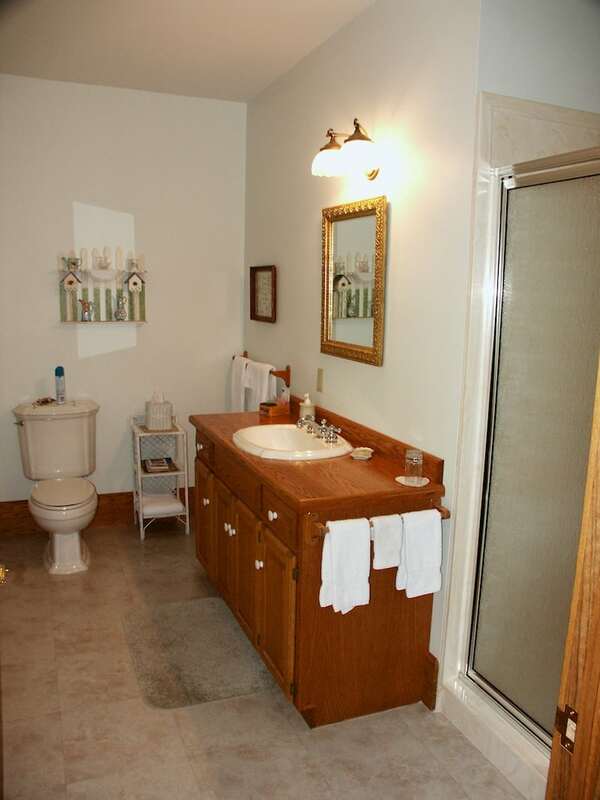 The private bathroom with a large cultured marble walk-in shower and oak topped vanity providing lots of room for your personal items. 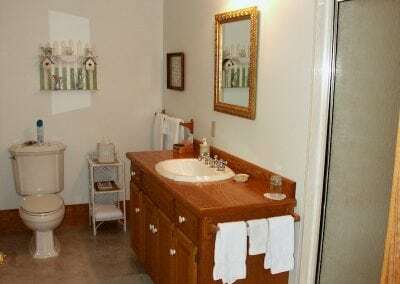 This room is available for $125 per night double occupancy.